If you are a fan of Cash Cash, you already know you can expect great tunes from them. Their latest song ‘Call You‘ is no different and the perfect way to close out 2018. The American trio is best known for their upbeat songs that have beautiful vocals and infectious dance beats. 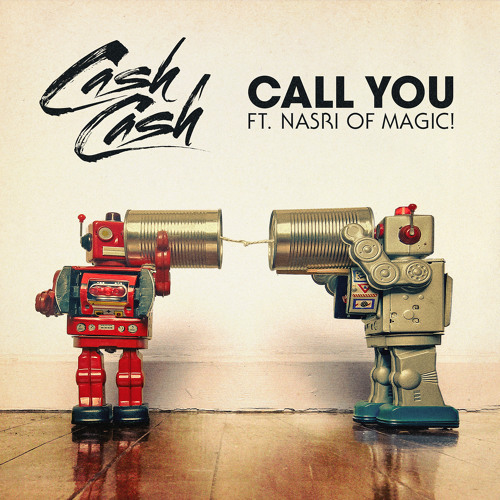 Out on Big Beat Records, ‘Call You’ features the vibrant vocals of Nasri who is the lead vocalist of MAGIC!. From start to finish, his voice drives the song and draw listeners to delve deeper into the lyrics. The song is about wondering if there is someone out there that will listen to you during difficult times, ‘When I’m driving through the night, with no strength left inside, can I call you?’. If the song wasn’t touching enough, it comes with a cute video that uses toy robots as the main protagonists. Watch their journey of love as they eat spaghetti, drink at a bar, and even start a family together.